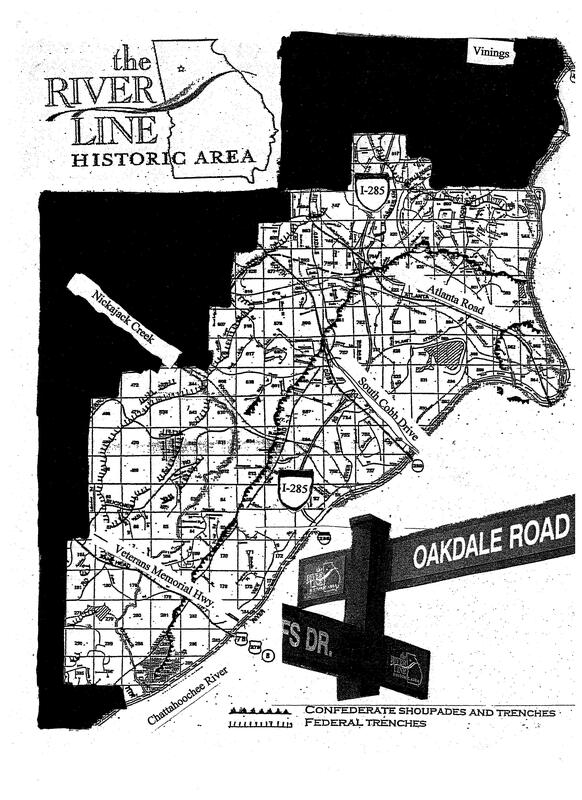 The 6 mile River Line Historic Area in Cobb County, Georgia, is highlighted in light gray on the map. 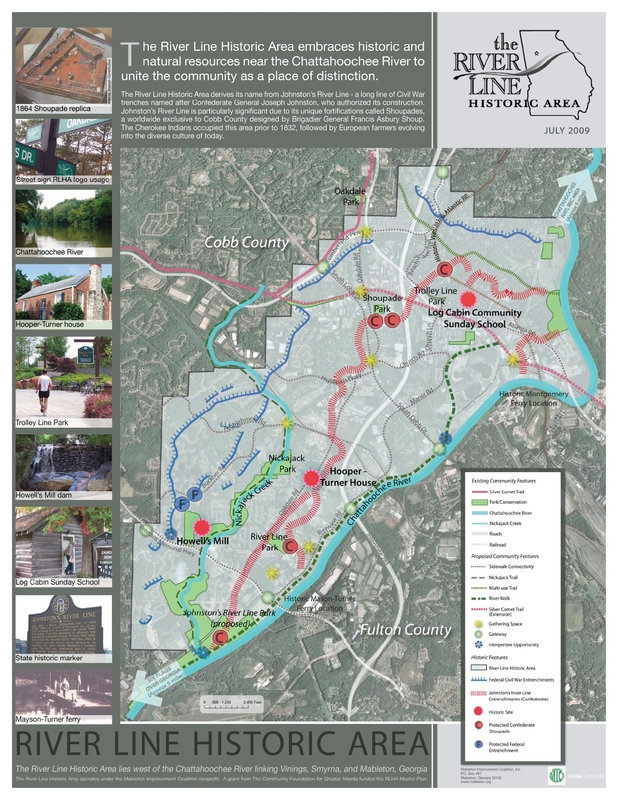 It contains all contiguous 40-acre land lots west of the Chattahoochee River bearing 1864 River Line Battlefield fortifications documented on the Cobb County Civil War trench inventory map linking Vinings, Smyrna, and Mableton. The Cherokee Indians previously occupied this land that became Cobb County after the 1832 land lottery. European farmers occupied the land which evolved into the diverse culture of today. 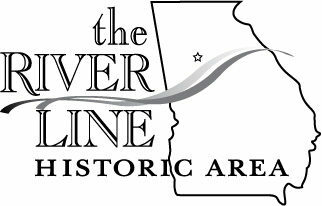 Do You Live in the Historic Area?